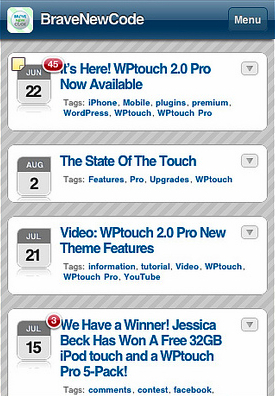 Here are ten sharp, professional, and functional mobile WordPress themes, some free and some premium, to help you reach your mobile audience. 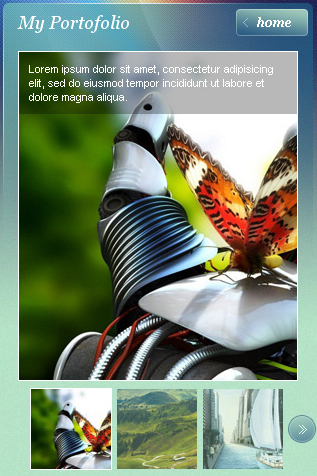 A HTML5/CSS3 WordPress theme optimized for mobile browsers. 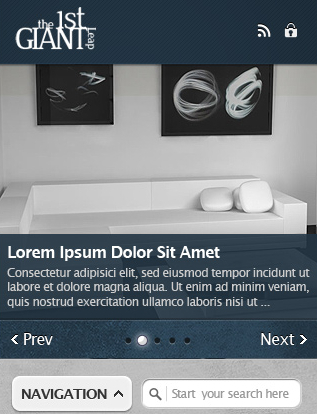 The layout also changes when you change the device orientation. 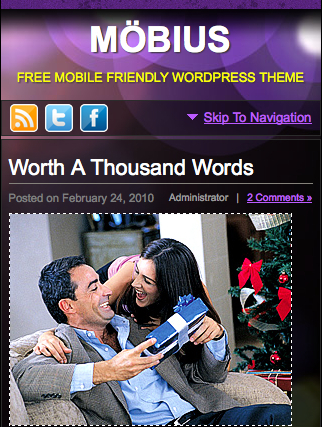 A mobile theme for WordPress that can be used either as a standalone blog or in conjunction with theme-switching plugin. 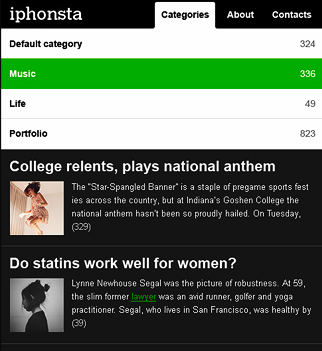 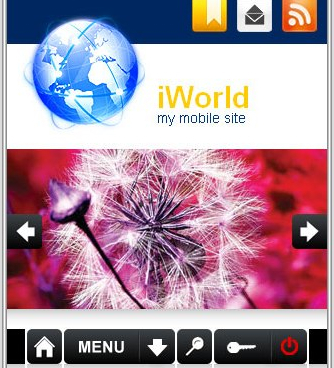 A mobile theme with automatic resolution detection. 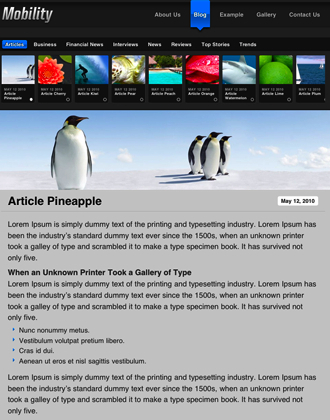 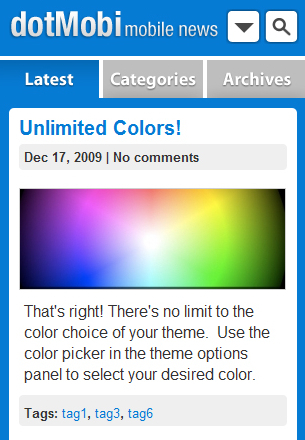 A mobile WordPress theme that can be used with another theme and presented to mobile users only, or for both desktop computers and mobile device users. 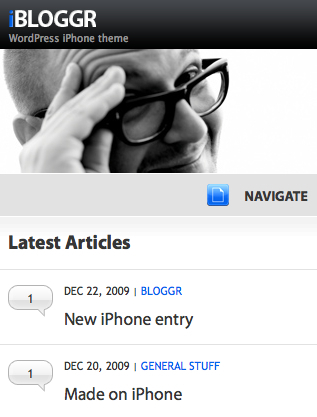 A mobile WordPress theme made for iPhone and iPod touch devices, but also works on other devices. 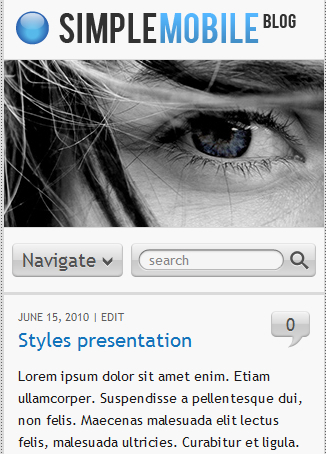 A WordPress plugin and theme that offers most of WordPressâ€™ native features for mobile browsers.